Champion surfer Mick Fanning fought off a great white in Jeffreys Bay on the weekend. He was not the first person to escape a shark attack along the South African coast - although the KwaZulu-Natal Sharks Board says attacks are rare, with an average of only six incidents a year. 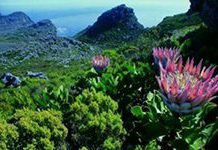 The expansion of South Africa's Cape Floral Region as a World Heritage Site means an even greater area will continue to be protected. Almost doubling the size of the protected area is a chance to boost economic development, create jobs, develop skills and increase awareness. 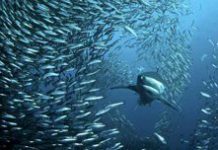 The annual sardine run up the coast of KwaZulu-Natal is a spectacular event bringing visitors to the coast. But scientists are concerned the shoal is becoming less predictable. 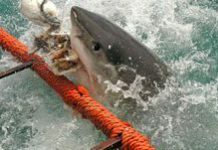 They are gathering data to try to pressure the authorities into giving the fish more protection. 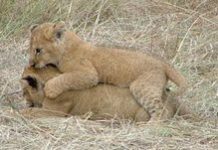 The three orphaned lion cubs at Addo Elephant National Park are now nine months old and have been moved from their protected boma to a camp where they can start hunting and fending for themselves. Rangers will keep a watchful eye as they return to the wild. 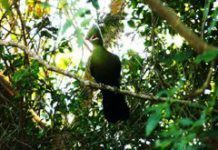 The Southern Cape's Afromontane forests - most of them part of the Garden Route National Park - are being considered for a ranking on the World Heritage List. This would double the size of the existing site, and expand the Cape Floral Kingdom already under protection. 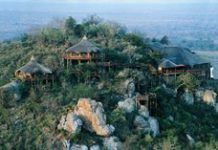 Visitors to some of South Africa's most luxurious private lodges will soon be able to fly directly to their bush getaways thanks to the imminent acquisition of four new Cessna aircraft by independent airline SA Airlink. 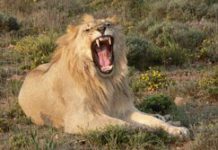 South African Airways Cargo will no longer transport hunting trophies of rhino, elephant, lion and tiger around the world. The SAA freight division put the embargo in place after cargo it was transporting was misdeclared. The ban is "to curb the problem of illegal transportation of animals". 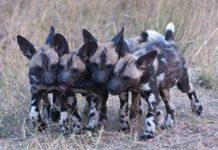 International visitors to South Africas Kruger National Park can put their holiday snaps to good use capturing images of cheetah and African wild dogs to help count the animals in the reserve, which is home to the largest protected population of cheetahs and wild dogs in South Africa. 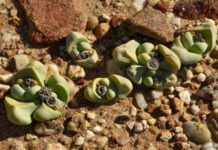 Homing one third of the worlds 10 000 succulent species, 85 500 hectares of the Succulent Karoo region now falls under the protection of the National Environmental Management: Protected Areas Act as the Knersvlakte Nature Reserve. 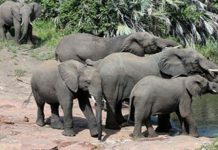 As one of the few African countries with a stable and strong elephant population, South Africa has stringent norms around managing the animals. It regularly updates or amends these.